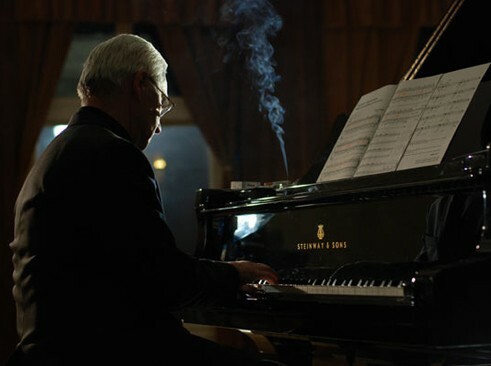 This documentary introduces the figure of a less known composer, Tomasz Sikorski (1939-1988). His life was determined by the times of communism when he lived and worked. Lack of freedom or ability to discover himself combined with the incomprehension of his work by artistic circles, which rejected the extreme simplicity of his music, left a significant imprint on Sikorski. The film follows the life of the artist whose extraordinary talent and great sensitivity walked hand in hand with solitude. Film director and screenwriter. Graduate of the Wajda School and the Academy of Fine Arts in Wrocław. In 2010, at the Cannes Film Festival, his Day of Chocolate won the Krzysztof Kieślowski ScripTeast Award for the best Eastern and Central European Script. He has worked as a director of photography on many documentary films. In 2011 he debuted with a short feature film entitled "The Lake" and in 2012 debuted with a documentary film „The Loneliness of Sound”, which won The Silver Hobby-Horse (Award for the Director of the Best Documentary Film) on 52nd Krakow Film Festival.